Last week, I attended the Maexle event of the C++ user group in Karlsruhe. The Maexle event is basically a programming contest where your program plays the Mia dice game against other programs. You have to implement a simple network protocol to join games, announce rolls and call bluffs. Your program earns points for every game it has participated and not lost. So there is a strong emphasis on starting early and staying in the game, even if your program doesn’t perform the best. Since it was an event of the C++ user group, the programming language to be used was C++. I’m certainly no C++ hero and knew I couldn’t compete, so I joined the fun with an espionage role and programmed an observing bot that doesn’t play, but gathers data on the players. I chose Java for the task. My observer was online after two minutes, the first real player joined the server after 20 minutes. It turned out to be written in Python. The first real C++ bot was online after 35 minutes, the last one played its first round after two hours. I listened closely to the problems the teams around me tackled and noticed something strange: Nobody talked about the actual game (Maexle/Mia). Every task was a technical one. Let’s talk about why that’s a problem. Before I dive into the subject, I want to define some terms that I’ll use to help you understand my point. It’s entirely possible to look at the story above and see a bunch of engineers having fun with some engineering tasks. First, I value the economics of my customer. In this case, the customer is a lonely server on the LAN that wants to host some games of Maexle for bots. Like, lots of games. Thousands of games. The customer gives points for early market entry, so time to market is an economic factor (or a key performance indicator, some might say). You can roughly say that being online early means you can make bucks longer. The second key performance indicator is uptime. You want to stay in the game as long as you don’t lose all the time. There are some more KPI, but the two I’ve listed should have a major impact in your programming approach – if you value the economics. Second, I don’t care about tools. A programming language is a tool. A compiler is a tool. Your IDE or text editor is a tool. Use your preferred tooling as long as it suits your needs. That means explicitely as long as it doesn’t actively work against your other values like the customer’s economics. This blog post is definitely not about Java or Python being “better” or “better suited” than C++. They aren’t. The first two bots (observer and player) were programmed by participants that had prior experience with the event. It wasn’t the tool that made them fast, it was the absence of rookie errors in the domain and its technical structure. Third, I will explain my point with the concept of “pure fabrication“. Pure fabrication is everything that is not specified by the customer, but necessary to fulfill the specification. It’s the code you write because your customer wants to persist some data. He never ordered you to write SQL statements or “open a connection to the database”, maybe he didn’t even know what a database was. Your customer wanted the data stored somehow. The code that enables you to actually program the storage is “pure fabrication” in terms of the domain. Think of it as a scaffolding holding your domain code in place. If you hire a painter to color your house, he will scaffold the walls to reach every spot with ease. You didn’t hire him to set those structures up, they are just necessary for the task. The difference to most of our code is that the painter removes the scaffolding afterwards. So, if I would have been a customer on the Maexle event, paying for a competitive Maexle bot, I would be very surprised about the actual construction process. Up to two hours into a three-hours event, my programmer would solve apparently hard and important problems, but not my problems. In fact, I wouldn’t even understand the relation between the attempted problems and my required solution. And I would have to have blind faith for more than half my money that something useable will come out of this. This is the effect of too much pure fabrication in the programming approach. I’m all for solving hard programming problems, but I’m not interested in solving them over and over again. After some iterations, they become solved problems or, essentially, tools. And I don’t care about tools as long as they get their job done. If your domain problem requires a better tool, then we can put the programming problem on our todo list again. Otherwise, we are not valueing our customer’s economics, we are showing off to our peers. If you program a simple game of Maexle with a heavy emphasis on time to market and even after the initial ramp up aren’t able to reason about your code using language from the domain (like game, dice, roll, bluff, double and, of course, mia), you are staying in pure fabrication land. That’s the level of programming where it matters if you used an integer or freed that memory. That’s when you pay the Pure Fabrication Tax to the fullest. Because your code now does something valueable in the domain, but the distance between your customer’s language and your code’s language is an hindrance. And this distance will demand its tax with every new feature, every change request and every bug. Bugs are another area where the distance is measureable. If you can’t explain your bugs to the customer, you’ve made them in the pure fabrication part of your code. If you can never explain your bugs, your domain code is hidden between lines and lines of source code with lots of special characters, brackets and magic numbers. Just imagine your hired painter tries to tell you why your house is now pink instead of white or yellow: “It was a small mishap in the way we constructed the scaffolding, we used an E5 steel beam instead of a rail clamp and forgot to perform a hammer check on it”. The last part is totally made up, but I’m sure that’s how we sound for non-programmers. What solution would I suggest? I don’t think there is a definite solution to the problem. You can’t go full Domain Driven Design on a three-hour Maexle event. By the time you’ve built your fancy Domain Specific Language to write code with the customer besides you, everybody else has gathered their game points and gone home. If you switch to a language that has a string tokenizer in its standard library, you can speed up your programming, but maybe just produce a bigger heap of slightly less low-leveled pure fabrication code. I don’t want to advocate a solution. My attempt is to highlight the problem: The Pure Fabrication Tax. Given the right (or wrong) amount of extrinsic (or intrinsic) motivation, we are able to produce a mess in just a few hours without really connecting to the domain we produce the mess for. If we didn’t program a Maexle bot that night, but a poker bot or a chat bot, most if not all of the problems and bugs would have been the same. This is not a domain-specific problem. It’s our problem. We probably just like to pay the tax. What are your thoughts on the Pure Fabrication Tax? Can you see it? Do you have an idea for a solution approach? Leave your comment below! And to counter everybody who thinks I’m just bashing the other participants on the event: I was the first one online on the server, with a task that requires virtually no effort and doesn’t even participate directly in the competition, with tools that solved nearly all my pure fabrication problems and still managed to create a program that contained less than five domain terms and was useless for its intended purpose. I said I value the economics of my customer (even if there was none), so I know that I failed hardest on the event. And I had prior knowledge. There was just nobody to compare my mess to. In the first part of my answer (books 0 to 4), I highlighted five books that influenced my career as a software developer. The list is not ordered, so the next five books aren’t inferior or better than the first ones. Every book on the complete list made a significant contribution to my knowledge and work ethic. If we were to choose the holy book of software development, we probably couldn’t agree on one or even a dozen titles. And that is a good thing, because there is no one true way of software development. 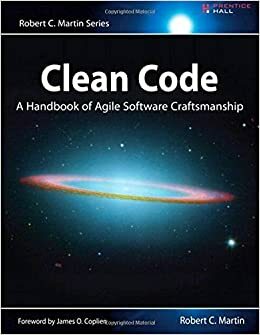 Clean Code by Robert C. Martin would maybe show up in the late contenders. But if we were to choose the most preachy book of software development, well, I have a favorite. This book is so loud that you cannot ignore it. And it is so opinionated that you’re either nodding your head like a heavy metal fan or writhing in averseness. That’s a good thing, too. Because it forces you to think. Your immediate emotional answer needs support by rational arguments and this book will provide you with ample opportunity to gather arguments for your consent or rejection. What this book probably won’t do is leave you unaffected. When it came out in 2008, it was an instant classic. You could spice up any gathering of software developers by making a statement about this book, be it pro or contra. And even today, ten years later, I would say that even if the loudness is deafening, the clarity of the messages makes this book a worthwhile read for every software developer. My grief with it is foremost that for a book called “Clean Code”, some examples of actual code are quite dirty or even plain wrong. Read it with an active mind and it will be a cornerstone of your professional career. But be careful, it seems that currently printed instances have physical quality problems. Ever since Extreme Programming hit the (european) scene in 1999, I was curious about Test Driven Development (TDD). I tried automated testing and unit tests whenever I could, read books and later watched videos about the topic. But I never grokked it. It just didn’t work for me and I didn’t even know why. My most feared trap was the one-two-everything syndrome, where you write two simple tests and then have to implement the whole algorithm to fulfill the third test. It was always the third test that broke my rhythm. I tried to exchange experience with TDD practitioners, but their own examples were mostly trivial and my examples always led nowhere (for reference: Try a simple Game of Life in TDD style). I felt dumb and inadequate. When Robert C. Martin (the author of Clean Code) told the developer world that you are either “TDD or not professional” (read the original from 2007 behind this paywall or the reprise from 2014 here or, even better, watch this discussion from 2012), that didn’t make me feel exactly great, too. 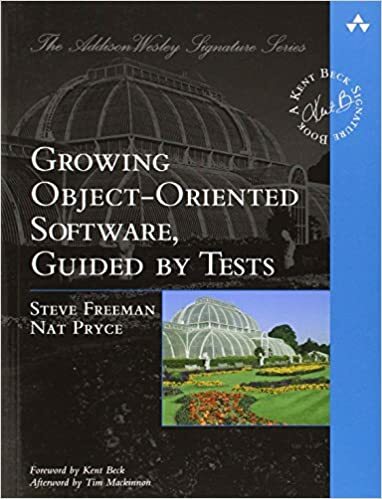 But imagine my surprise when I started to read a book by two authors I hadn’t heard much of before with a title that reveals its intent only after a comma: “Growing Object-Oriented Software, Guided by Tests” (henceforth called the GOOS book). The book spoke clearly to me. Every step was actionable, even more so, the book acted it out right before my eyes. It was as if Steve Freeman and Nat Pryce, the two authors, were sitting left and right at my table and discussing actual code with me. It didn’t help that I read this book during a summer beach holiday. The beach and even the sun didn’t see much of me that year. I was busy learning about Acceptance Test Driven Development (ATDD), ports and adapters and all the other great content in this book. And the best thing was: it wasn’t theoretical, the examples in the books could be followed one a line-to-line basis. My experience with this book was unique and still is. It’s the best book about actual software development that I’ve read. You might enjoy it, too. Some years after the GOOS experience, another summer beach holiday was due and as usual, I included a software development book in my luggage. 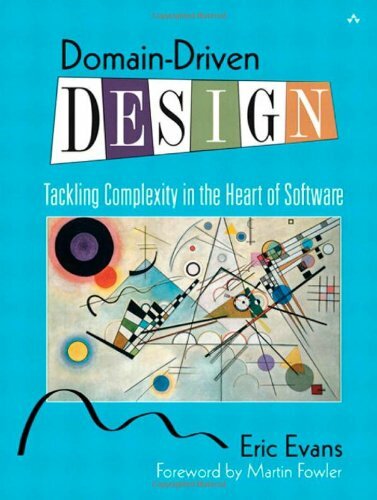 “Domain Driven Design” by Eric Evans came out in 2003 and was praised by some and ignored by most, including me. It took me ten years to finally read it and when I did, it hit me hard. Since my early days as a programmer, I tried to build a meaningful data model with actual types for each program I developed. But it occurred to me that I did it half-heartedly all the time. It shouldn’t stop at a data model, it should be a complete domain model. And for that to work, you need to grok the domain. I review a lot of my code before that insight and always find it funny how I invested effort in my models but more often than not stayed in the technical realm. I cannot say that my programming has changed much from the book, as most concepts meandered through the community since 2003 and were picked up by me mostly under different names. But my software development approach has changed dramatically. I don’t start my thinking from the technical side anymore. And that helps with “business alignment” and all the other magic words that finally have real tangible benefit. And I can now pinpoint when that alignment loosens and employ counter-measures instead of ending up in a special case hell. The best thing was that this book doesn’t require a laptop so I got to sit on the beach that summer with the book in my hands and my head in the clouds. It might be old, but it’s still gold. I anxiously waited for this book to be printed. Not because I pre-ordered, but because I held talks, workshops and lectures about the topic before the book was available. And I wanted to make sure that I’m not telling nonsense. But Robert C. Martin took his time and delayed the deadline month after month. Then, nearly a year later, the book reached the stores in late 2017. So I would have to wait for my winter holiday to read it. I couldn’t wait and began right away. The book is a slow burner and feels like a long introduction. By the time the central proposition is revealed (and yes, it reads like good unagitated spy thriller at times), you’ve probably already figured it out yourself. And that’s a good thing in my mind, because it feels as if it was your idea and Uncle Bob is just there to nod and congratulate you for your intellect. This book is so many times less preachy than “Clean Code”. If we compare spy thriller literature, this is a John le Carré while Clean Code would be an Ian Fleming (James Bond). 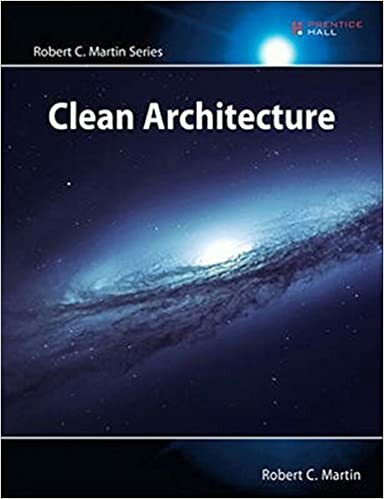 “Clean Architecture” is not about programming, it talks about software architecture, a topic that I missed greatly in my early developer years. I liked this book so much I even wrote a full review about it. All the other books talk about different aspects of programming, software development or related technical topics. But what about a book that raises a simple question: “Why is IT technology so complicated?”. And gives the answer: “Because we want it this way.”. That’s actually true. In a world without most of the restrictions of the physical world, we were unable to build solutions that actually helped us and came up with machines and software that overwhelmed most people. It needed a whole new generation of “digital natives” until concepts like internal operation modes (e.g. insert vs. overwrite) were intuitively understood. Not because they became simpler, we were just used to the complexity. Alan Cooper described the problem and gave at least hints for solutions in 1999, nearly 20 years ago. That’s the timespan of a generation. 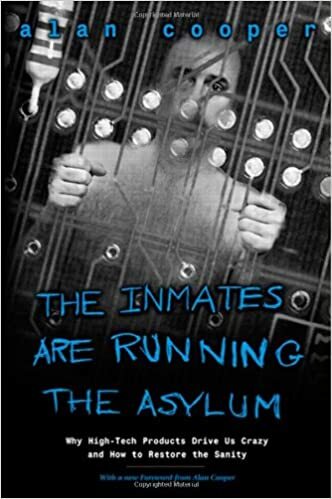 This book made me think hard about the status quo I silently had accepted with technology. It just was like it was, what else could there be? If I reveal a tiny bit of different approaches I can think of now, I’m often confronted with incomprehension. Not because I’m particularly clever and everyone else is dumb, but because there seems to be no problem if you’ve grown accustomed to it. If you want to see some of the pain other (older) people feel when interacting with technology and software, read this book. It is an eye-opener to common problems no software developer ever had. It is the first step into the world of UX (user experience), where it’s not as important if the developer feels alright but if the user feels at least adequate. It might be a classic and feel a bit outdated and weak on the solution side, but to understand the problem properly is the first step to appreciate possible answers. And Alan Cooper didn’t stop there. Read his ongoing series “About Face” (current version: 4.0) for lots of solution ideas. I hope you enjoyed this list. And I hope the student who originally asked the question got his answer. Are there books you want to recommend? Drop a comment below or blog about them! The average software developer reads less than one book per year. Maybe our insistence can change that a bit.